As many of you know, I am a Certified Nutritional Counselor & Health Specialist. What you may not know is that I am a Certified Biblical Health Coach too. I believe that we are not only just a physical body, but a spiritual one as well. In this blog I write about health related topics, recipes, nutrition facts and Biblical truths. Today is a Biblical truth. They do not hurry or worry. I am sometimes so caught up in getting things done, that I fail to ask God for guidance. I fall into the trap of being too busy, always on the go. With the constant snowfall we are getting in New Hampshire, I am kind of forced to slow down. It is good for my soul. 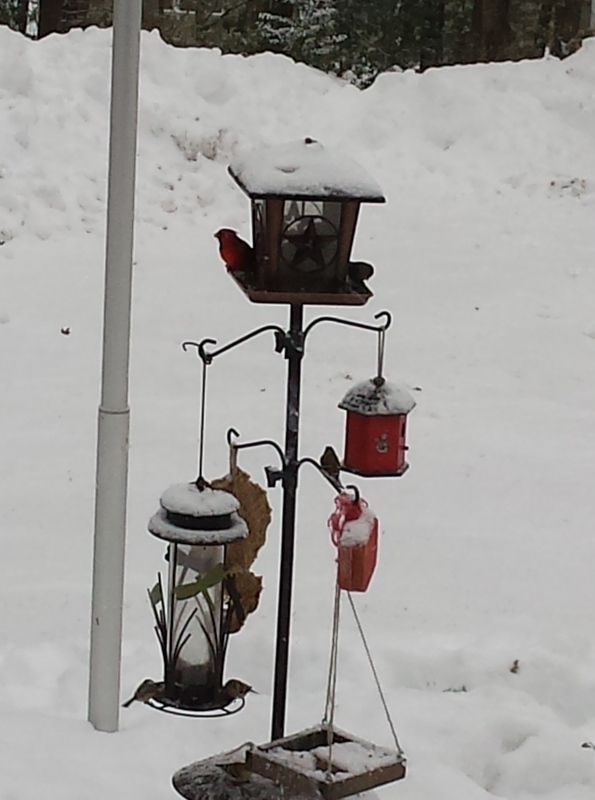 As I sit here and watch the birds in my feeder, especially my favorite, the red cardinal…I am reminded that they do not hurry and they do not worry. They are provided for. It is the same with us. We have a Heavenly Father that has His eye focused on us, on you and on me. If we listen with our hearts and are in His Word…He promises to give us direction. We must align ourselves with His way, His perspective. When I do this, time seems to slow down. I get so much more accomplished. I am not running around in crazy circles. I am focused… Focused on Him. May you be blessed with His Counsel today. Tagged biblical health coach, birds, counsel, don't hurry, don't worry, God, Health Coach, Health Specialist, Heavenly instruction, instruct, loving counsel, Nutritional Counselor, Psalm 32:8, www.myfatherswellness.com.